Numerous studies show that children who read for pleasure tend to perform better academically. Reading also fosters creativity and improves communication skills, which of course play a vital role in social interaction and career success. At The School in Rose Valley, literacy development is a crucial part of our curriculum. Our Language Arts curriculum fosters a love of reading and writing in students through daily read-alouds, inspired conversations about stories, and self-expression. An eagerness to learn doesn’t necessarily begin with a love of reading books. As educator Harold Taylor said, “The direction of learning is from emotion to thought to expression in words, symbols or symbolic action of some kind—not the reverse.”¹ And evidence of this is clear in our classrooms: children glean meaning and understanding from a lesson when they are involved. For young children, the fundamentals of language study aren’t just about attaching sounds to symbols, but rather experiences and discussion. Language is a acquired socially, so as parents and teachers, we should encourage students to ask about what it is they’re doing and how they feel during the experience and to listen to the experiences of their peers and adults. This is the way students learn not just to read, but to understand what they’re reading. Activities such as these build vocabulary and an understanding of the world around us, essential tools for reading. At The School in Rose Valley, our teachers understand the importance of early childhood literacy. 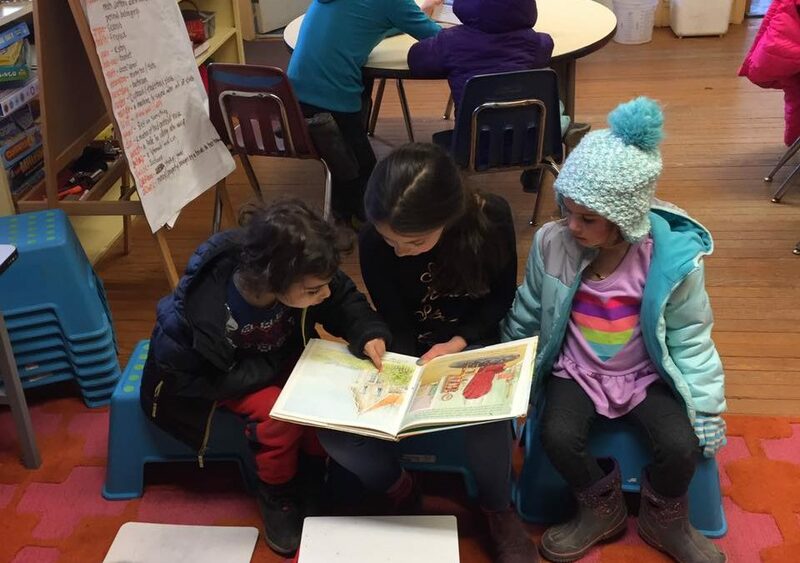 Students who participate in our Early Literacy program not only gain essential literacy skills but are also encouraged to enjoy the experience of reading and gaining new knowledge. Coupling our curriculum with reader-friendly home activities is the perfect recipe for fostering a love of reading in your child. 1 Rotzel, Grace. The School in Rose Valley: A Parent Venture in Education. The Johns Hopkins Press, 1971.